Could you tell us why you set up a new comedy night in Belfast? The event is called “Up the Left” and we are running it on occasional weekend nights at Accidental Theatre. We’ve run it a couple of Saturdays but are experimenting with Fridays too. The concept is, loosely, that it’s is a space for comedians from a left-wing and progressive perspective. I wanted to create an event which gave a space to comedic work I thought was under represented generally in Northern Irish comedy. I recently performed at the Chicken Box comedy night for Foyle Pride and the majority of the stand-ups were from the LGBTQ community; that night really opened my eyes to what might be possible in Belfast. I felt there were some voices that needed to be heard a lot more in local comedy. Beyond that there is a running joke that people from a left or alternative perspective are not funny. That the left cannot take or tell a joke. I wanted to challenge that perspective. Do you really think that a progressive perspective isn’t represented? Well I think there are very few people who do political material; women are definitely under-represented, the LGBTQ community is under-represented, and so on that basis I would argue that there is room for an alternative comedy night that opens the floor to those voices. It is reasonable to say that in the comedy scene as a whole, not specifically Northern Ireland, comedy tends to be by men for men. For me there are many other stories which need to heard, so that is why “Up the Left” exists. What kind of comedians would not be welcome at this event? I really would draw the line at comedians who use racist, sexist or homophobic material. Even if they were exceptionally talented performers, if the material is in any way adding to bigoted views then I would say that they wouldn’t get to perform at one of these events. 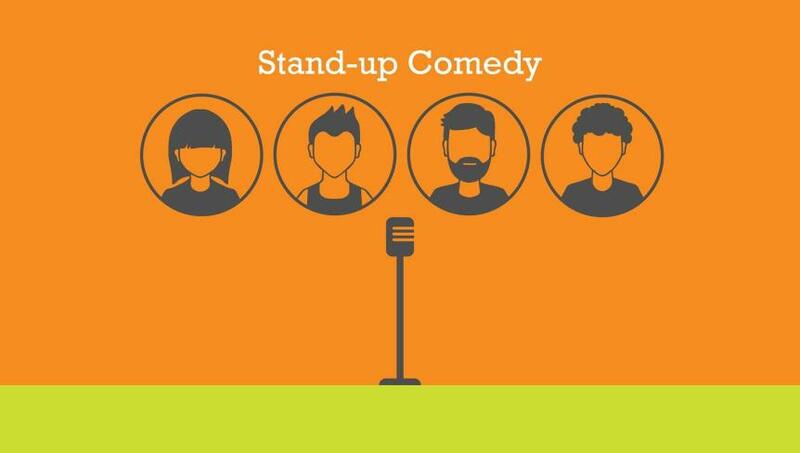 How do you go about developing comedians for your event? “Up the Left” will have quite a few performances from people who are relatively new to stand-up. Obviously comedians need to perform regularly to develop their skills. I can certainly help with developing performance skills and I hope to do that as the event progresses. Beyond that, there are a group of writers who are meeting regularly, we go over our material, we challenge each other on the writing, the concepts we are working with, the way our material fits together and how it might go down with an audience. That I think is a very useful starting point to aid in developing our writing skills. Your relationship with Accidental Theatre seems very healthy? Yes definitely. They have been very supportive. I’ve been running improv classes and performances there for over a year, as well as other ad-hoc events such as talks and gigs. Our improv shows bring in an average of 30-40 people, and our improv festival was sold out for most of its run. Many of the comedy events bring in over 50 people, particularly the different stand-up events, and many have been close to selling out. When people arrive the Accidental Theatre staff give the audience a sense that the event is a professional event. That matters as we want the audience to feel that our events are special, whether it be stand-up, improv, sketch, or some other form of comedy. Accidental Theatre also help promote the event and encourage us, so that builds confidence which is essential when you are trying out something new.